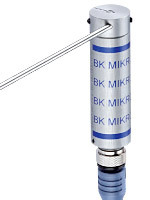 Techna-Tool’s BK Mikro is an easy-to-use and versatile system designed for detecting broken tools, inspecting objects and free space, measuring hidden geometries, and testing contours for defects. The tool is a great help in automating production processes of machine building, metal working, automotive production, medical device production, among others. The system comprises a control unit, a scanner, and a connection cable. At Techna-Tool, we offer several models of control units and scanners to meet varying application requirements. The right selection must be made after carefully analyzing your application requirements. 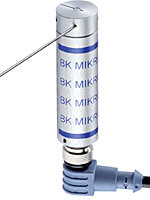 This blog helps you understand the types, typical applications, and technical specifications of BK Mikro scanners available at Techna-Tool. Glancing through the below points will help you to choose the right scanner for your industry specific applications. TK91A– This scanner is ideal when highly accurate tool checking is necessary. The scanner features a scanning wand up to 610 mm length, and a scanning plate on the wand. It is designed for use in extremely harsh machining environments consisting of harmful lubricating oils, toxic solvents, and harsh chemicals. The details on the other three types of scanners will be elaborated in the follow-up blog. 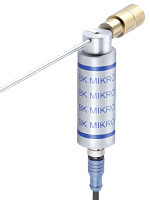 This entry was posted in BK Mikro scanners, BK Mikro series and tagged detecting broken tools. Bookmark the permalink.